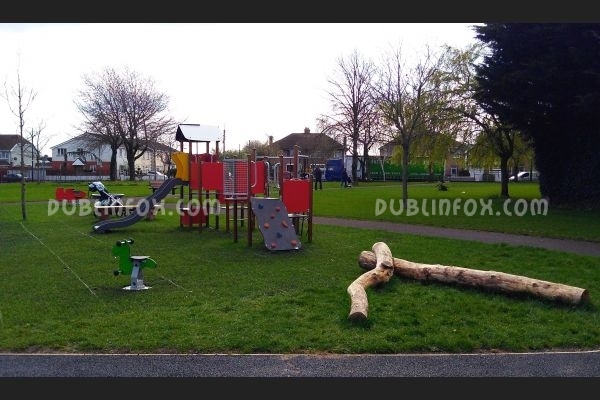 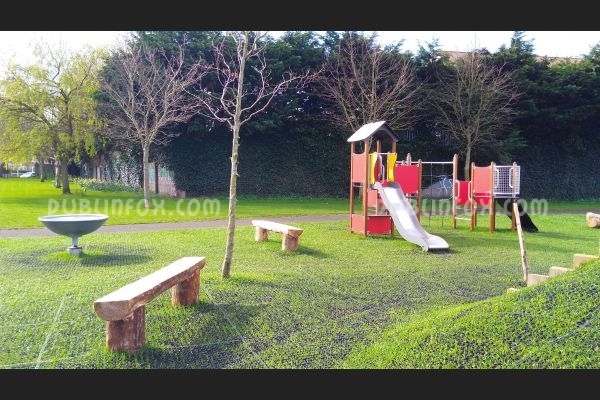 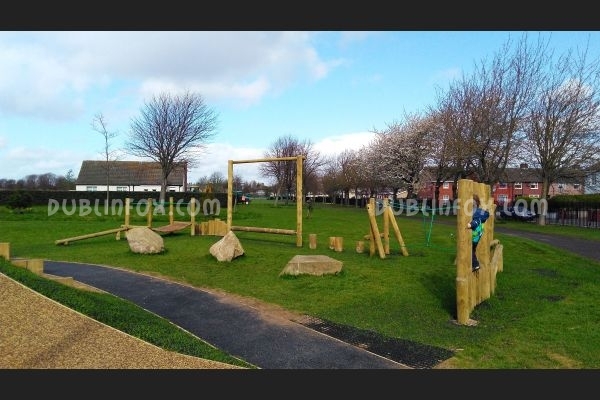 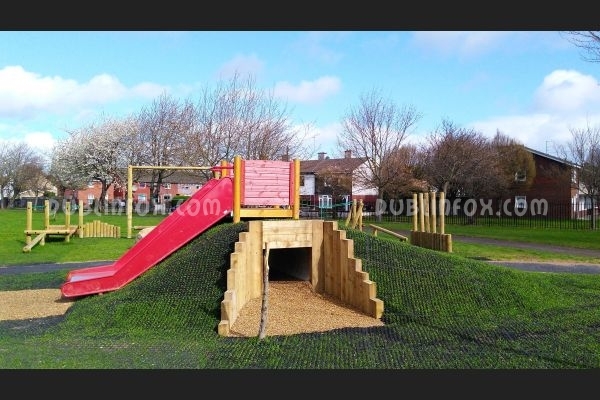 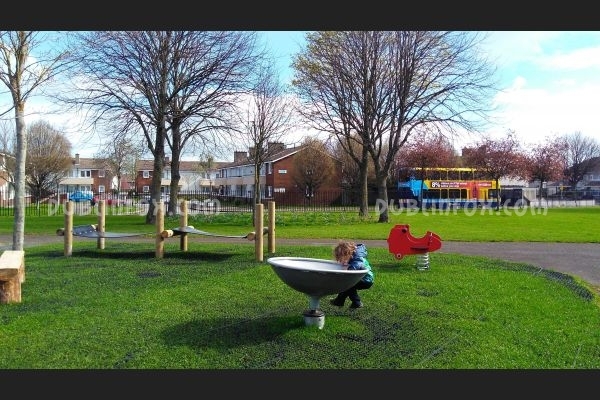 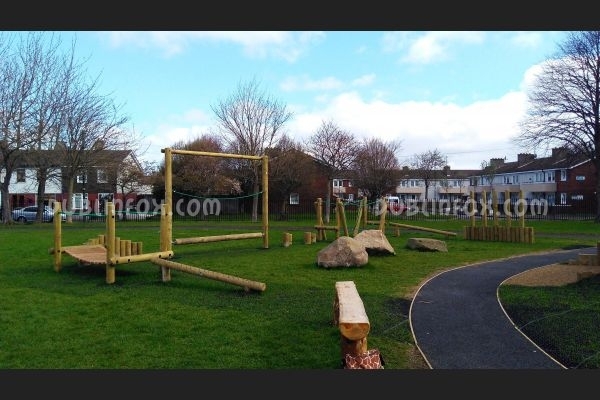 The playground in Stannaway Park is one of the newest playgrounds in Dublin, it was completed in March, 2017. 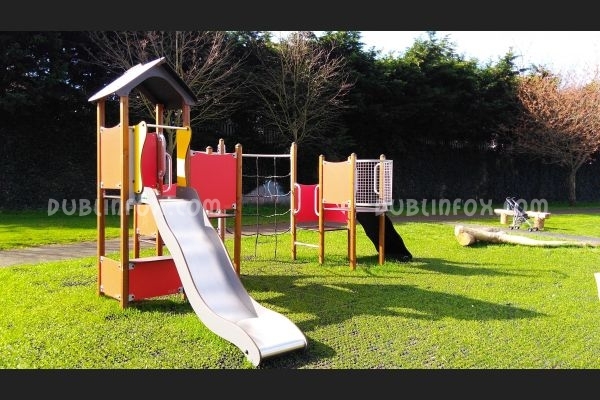 It is medium-sized and it is suitable for kids under 8. 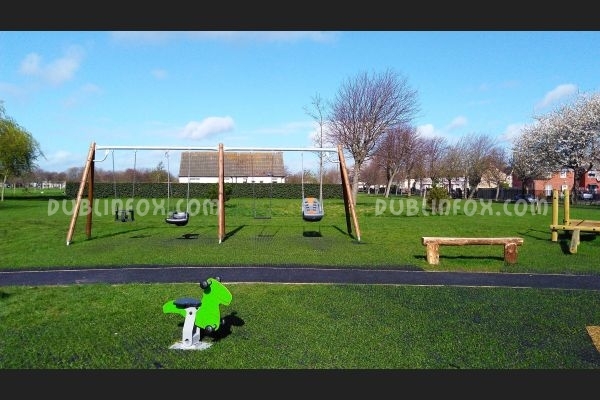 Unfortunately it is not fenced off within the park (the park itself is fenced), but otherwise it is a great little playground, safe for toddlers and young kids alike. 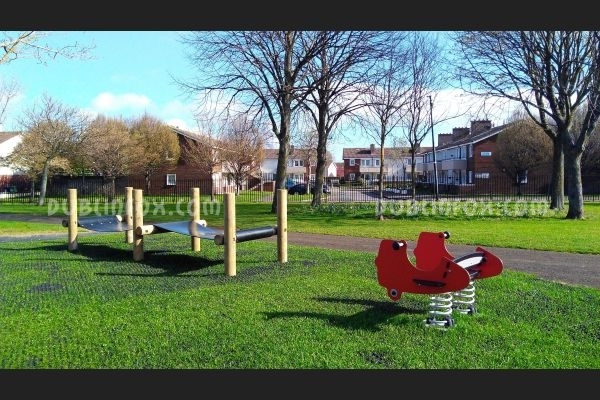 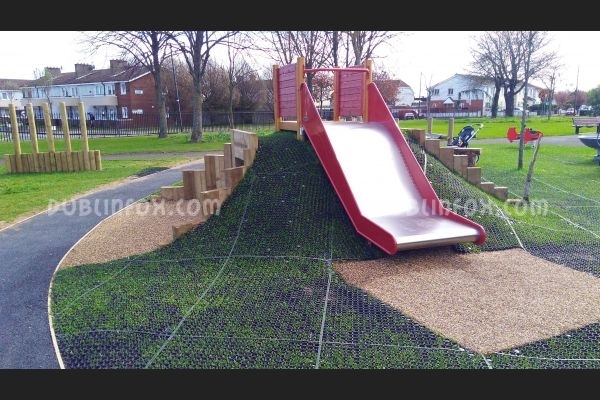 Besides the usual playing equipment (springers, multi-play unit with slide, swings), there are also a few unique additions, such as the rubber belt or the parent-toddler swing, which are very popular with the little visitors.